Today is my normal day off. I normally try to get away and “get ghost” – be gone, be out of the area, so I can refresh and recharge. Today, I spent the day getting my car detailed for the weekend, pick up some items at Sam’s Club and Office Depot, and then I came home early to be with the collective of musicians and singers and psalmists at First Baptist Church – aka the Magnificent Mass Choir. They are in preparation for singing at funerals this weekend for Sis. Mabel Conda and Sis. Carol Davis. It was important for me because I know how both of these women cared and loved the MMC. For Sis. Conda, she enjoyed listening to them praise the Lord. For Sis. Davis, she enjoyed being a part of the choir and lifting up her voice in song. The ties that both of these women have for the choir necessitated my presence tonight to be pastor, encourager and psalmist along with them. They sang tonight and my how they sang! Although their hearts are in sorrow, they lifted the roof in praise tonight. As they lifted their voices and blended their hearts together in song they did so sometimes brushing aside tears, sometimes singing with anguish in their faces, and sometimes with lifted hands and smiles on their faces – for they know that the joy of the Lord is our strength. 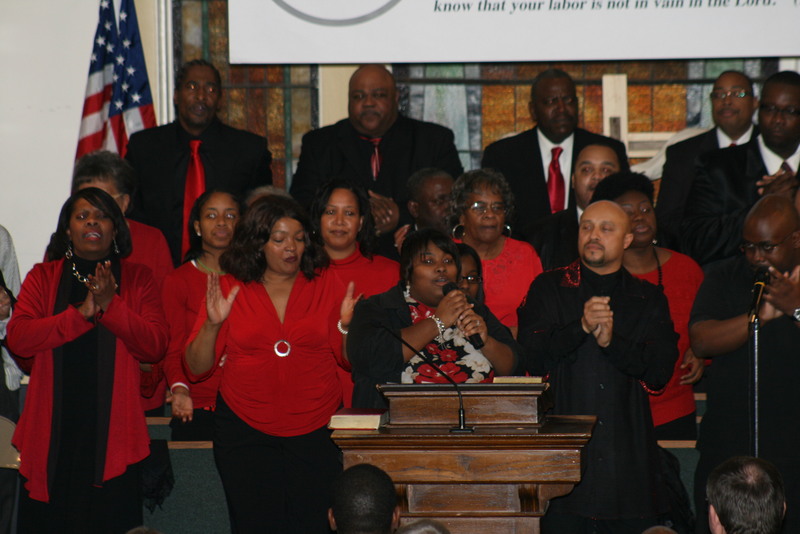 We are blessed with an array of music ministry leaders. Our able Minister of Music, Minister Elijah Griffin; Our humble Director of Music, Minister Sheniqua Roberts; Our prolific percussionist, Bro. Christopher Stallings; Our guest musician and former musician, Bro. Demetrius “Rico” Ware – son-in-law of Sis. Carol Davis blended their talents together tonight – yes, brushing aside tears as well. When it was over and the closing prayer was sounded, tears flowed. And I saw something awesome – choir members consoling each other, crying upon each other, embracing each other, and encouraging each other. And that’s why they’re called Magnificent. I thank you for allowing the Holy Spirit to use you tonight to encourage each other so you can encourage the masses.